GA 760: 12th century minuscule of the Gospels. The Eusebian canons and headpieces in this manuscript are particularly ornate and colorful. GA 765: 12th century minuscule of the Gospels. This codex contains two uncatalogued manuscripts, bound in front of and behind GA 765. GA 796: 11th century minuscule of the Gospels, Apostolos, and Paul. The scribe’s handwriting is rather petite and “exquisite,” according to the National Library’s 1892 catalogue. GA Lect 417: 16th century lectionary (dated to 1537) of the Gospels. It is complete and was for some reason rarely used. GA Lect 418: 15th century lectionary of the Gospels. There is evidence that as many as five or six different scribes worked to produce this manuscript. The text even switches between single and double columns towards the beginning and end of the manuscript. GA Lect 420: 15th century lectionary of the Gospels. GA Lect 422: 14th century lectionary of the Gospels and Apostolos. Shows minimal signs of wear, indicating this manuscript may have been for private rather than public use. GA Lect 423: 18th century lectionary (dated to 1732) of the Apostolos and Paul. 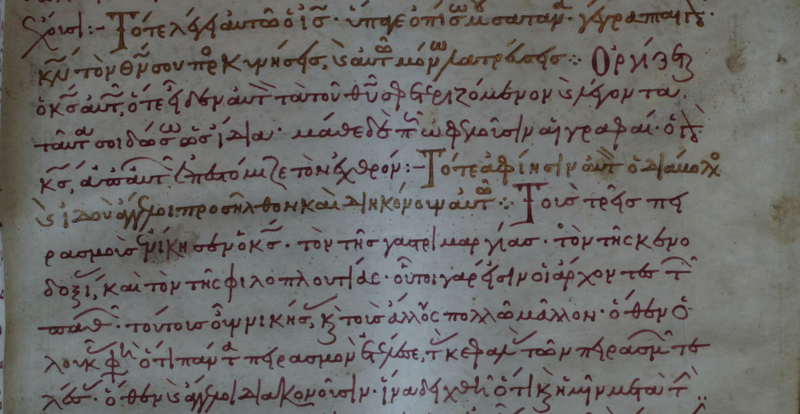 GA Lect 837: 15th century lectionary of the Apostolos and Paul. GA Lect 2010: 15th century lectionary of the Gospels and Apostolos. GA 757: 13th century minuscule with Gospels, Apostolos, Paul, and Revelation; this is very rare in the manuscript tradition. GA 759: 13th century minuscule of the Gospels. A leaf from another manuscript has been inserted between Luke and John, a magnificently ornate rendering of the Eusebian canons for Matthew and Luke. GA 1419: 15th century minuscule of the Gospels with extensive commentary. Scripture is indicated by double carats in the margin. GA Lect 411: 12th century lectionary of the Gospels, which ends with the dominical aphorism, “many [who are] first shall be last, and the last first” (from Matt 19.30). GA Lect 412: 12th century lectionary of the Gospels, featuring ekthetic letters at the beginning of lections in the shape of Jesus, Mary, the Evangelists, and others. 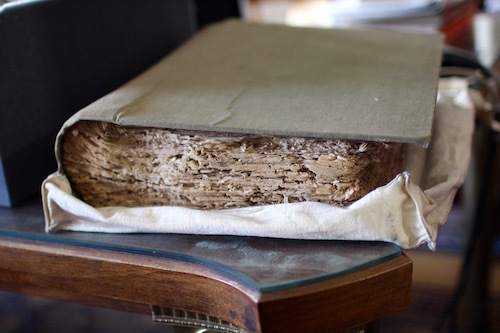 GA Lect 415: 14th century lectionary of the Gospels, with a significant number of paper replacement leaves. GA Lect 416: 15th century lectionary of the Gospels dated to 1452. This manuscript is elegantly written with many vivid colors. Its lack of wear suggests that it was privately owned. GA Lect 1528: 15th century lectionary of the Gospels dated to 1464. The manuscript has many ornate ekthesis enlarged initials including faces, birds, hands, flowers, fish, foxes, snakes, etc. GA Lect 2008: 14th century lectionary in the same codex as GA Lect 415, with an unidentified palimpsest undertext which appears to be a majuscule lectionary. GA 1415: 12th century minuscule of the Gospels, featuring an unusual icon of Luke (dating from the 9th century) probably inserted into the manuscript by the 12th century scribe. GA 1416: 12th century minuscule of the Gospels. GA 1418: 12th century minuscule of the Gospels, with two leaves of unidentified extra-biblical Christian text at the beginning of the codex. GA Lect 387: 11th century lectionary of the Gospels. GA Lect 388: 16th century lectionary of the Gospels with ornate ekthesis initials throughout. There is evidence that at least five different scribes worked to produce this manuscript. GA Lect 391: 16th century lectionary of the Gospels. GA Lect 395: 14th century lectionary of the Gospels. Most of the manuscript is on parchment, but the last 18 leaves are paper replacement leaves. GA Lect 396: 14th century lectionary of the Gospels. GA Lect 401: 14th century lectionary of the Gospels with an interesting colophon at the end in which the scribe, Leontos, prays for his monastery to acquire a writing table so that he can copy manuscripts more accurately. GA 785: 11th century minuscule of the Gospels. GA 1413: 11th century minuscule of the Gospels. 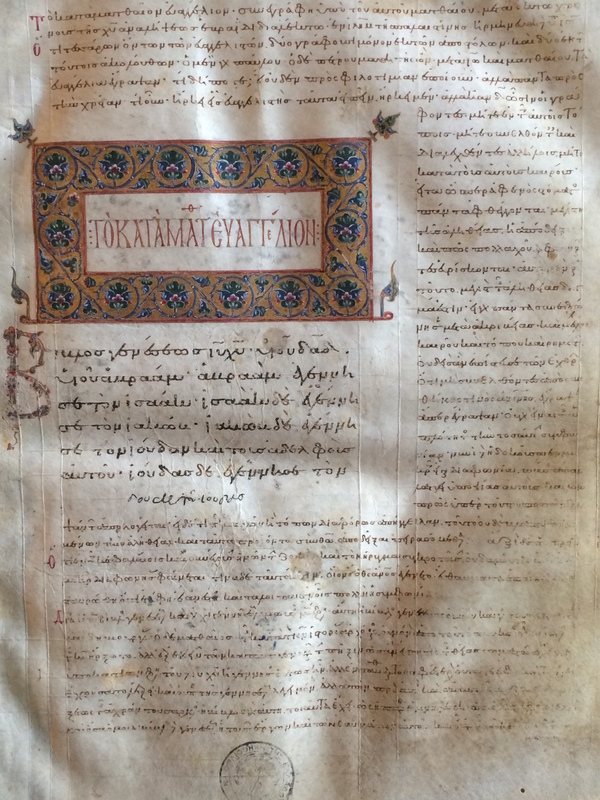 GA 1829: 10th century minuscule of the Apostolos, with over 400 pages of Chrysostom’s homilies in the latter two-thirds of the codex. GA Lect 383: 12th century lectionary of the Gospels. A large, well-used manuscript featuring beautiful gilded icons and ornate headpieces. GA Lect 384: 12th century lectionary of the Gospels. GA Lect 385: 12th century lectionary of the Gospels. GA Lect 590: 11th century lectionary of the Gospels and Apostolos. 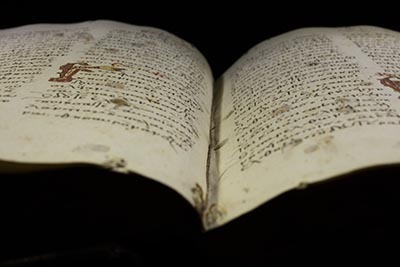 GA Lect 592: 16th century lectionary of the Gospels and Apostolos dated to 1576. GA Lect 593: 15th century lectionary of the Gospels and Apostolos. Apparently a complete manuscript. GA Lect 1527: 10th century lectionary primarily consisting of the Psalms accompanied by interpretation from 18 different church fathers. This manuscript only has three pages of New Testament text! If you are planning on doing Christmas shopping this year on Amazon, please consider using the link above. 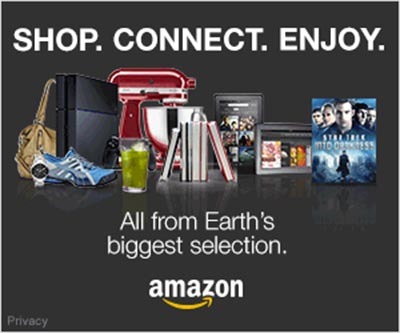 By clicking on the Amazon logo, CSNTM will get a portion of your purchase at no additional cost to you! The link will take you to Amazon, you can shop as normal, and Amazon will give a portion of anything purchased during that shopping session to CSNTM. 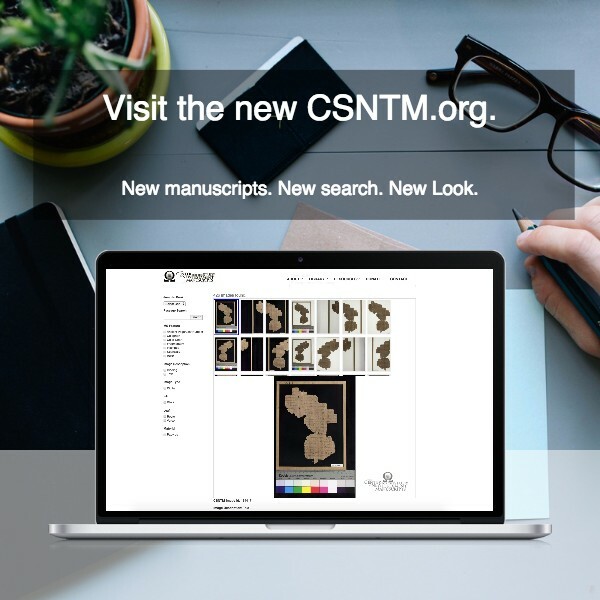 New manuscripts digitized by the Center for the Study of New Testament Manuscripts (CSNTM) have just been added to our searchable collection. These include 10 newly-discovered manuscripts from the National Library of Greece (NLG) in Athens, the site of our ongoing digitization project for 2015–16. Dr. Daniel B. Wallace made the discoveries during his preparation of each manuscript for digitization. They are listed according to their NLG shelf number, as they have not yet been assigned a Gregory-Aland number. They cannot be confirmed as new discoveries without further investigation (i.e. they could be missing sections from extant New Testament manuscripts). The contents of these discoveries were recently presented at an annual scholarly meeting by CSNTM's Research Manager, Robert D. Marcello. NLG 118: 11th century minuscule; one leaf, bound together with GA 765. Has a beautiful icon of Luke and the text of Luke 1.1–6. NLG 204: 9th or 10th century palimpsested minuscule; one leaf, part of the upper-text manuscript GA 771. The under-text has a distinct hand, though both the under- and upper-text is from Mark 1 on this leaf. NLG 2676: 13th or 14th century minuscule; two bifolio leaves at the front and back of GA Lect 1813. Contains a portion of 1 John, which is relatively rare in Apostolos manuscripts from this time period. NLG 158 (front): 14th century lectionary; two leaves, bound together with GA 765 at the beginning of the codex. NLG 158 (back): 12th century lectionary; twenty-seven leaves, bound together with GA 765 at the end of the codex. Possibly from the same scribe as GA 765, and combined into a single codex later. NLG 2711: 12th or 13th century manuscript (could be a minuscule or lectionary); found in the reinforcement strips of GA Lect 1816. Contains text from Luke 1. NLG 3534: 15th century lectionary; 64 leaves, containing the Gospels, Acts, and Paul. NLG 4002: 18th century lectionary dated to 1701; 172 leaves, containing several beautiful (yet unfinished!) icons. NLG 4074: 13th or 14th century lectionary; 196 leaves, containing the Gospels. NLG 4080: 13th or 14th century lectionary; 154 leaves, containing the Gospels. We have also added images for 9 manuscripts that are now in our digital library. Many of these are older images from microfilm. However, we want to make sure to make as many available as possible, even if high-resolution digital images are not currently available. These images have now been added to our growing searchable collection, which gives everyone free access to the best available digital images of New Testament manuscripts. The post-production process of safely storing our data has developed rapidly over the past decade with the advent of newer and better technologies for every stage of the digitization process. The quality of digital cameras has increased exponentially, and so has the size of each image file. As we planned to switch to 50 megapixel cameras last summer, we knew we would significantly increase our storage needs as we increased the quality of every image. We archive files in RAW, JPEG, and TIFF formats. So a single manuscript page digitized with the newest cameras requires more than 425 MB of storage space. Because we have recently committed to capture 150,000 images in 15 months, this demanded a more robust way to manage our data. 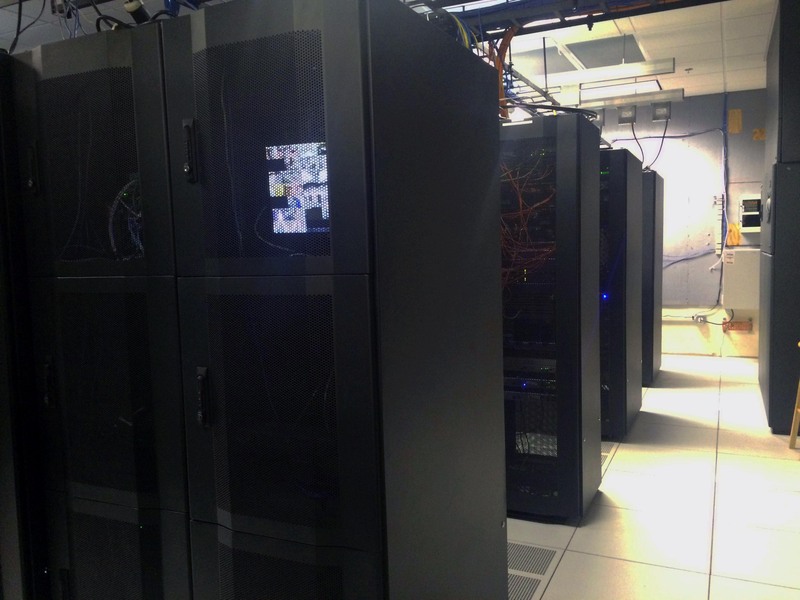 The Center purchased and installed a professional-grade server system, which tripled the capacity of our previous server. The system can be scaled to hold over 600 TB of data, ensuring that CSNTM has room to grow for the next decade of expeditions. The new server runs a RAID6 backup protocol. This process is designed to automatically rewrite all data to multiple locations within the system, and would allow for two individual drives to fail without any data loss. The new server also gives us remote access to our holdings, allowing us to run maintenance processes and gain access to our data from anywhere in the world. The entire process of finding, installing, and maintaining a new server would not have been possible without bringing in some outside help. CSNTM was fortunate to be connected with The Core Technology Group, an IT consultancy based in the Dallas area. 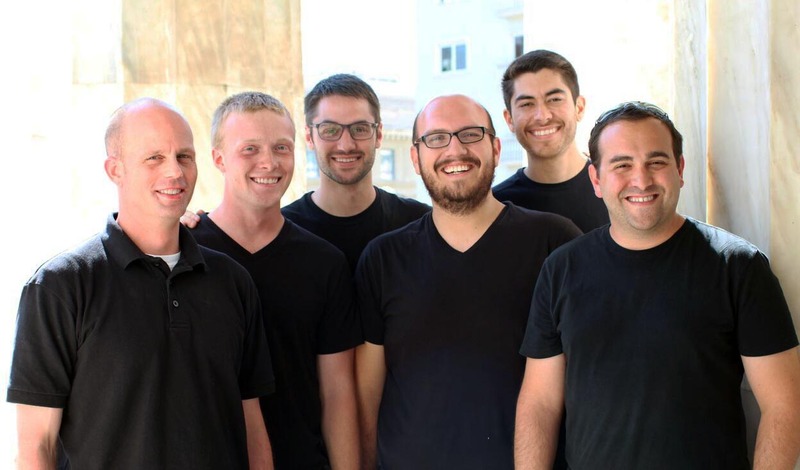 They quickly understood our organization’s mission and data storage needs, helping us find a server setup that would be cost-effective, reliable, and scalable in the long-term. They have also answered dozens of emails and phone calls from us along the way. Finally, CSNTM has found new ways to archive our images in additional locations and formats. Aside from our new server, we also purchased an LTO tape drive and several LTO tape cartridges. In the past, CSNTM used gold-plated DVDs for the purpose of additional backups, but with the rapid expansion of the size of our images, this backup method has become unwieldy and inefficient. It would take thousands of DVDs to store the massive number of images we plan to take during the next few years. LTO tapes, on the other hand, each hold more than 2 TB of data, only cost about $30 each, and last up to 30 years. We are creating multiple LTO tape backups for every image in our collection, in both RAW and TIFF formats, in order to conform with archival best practices. 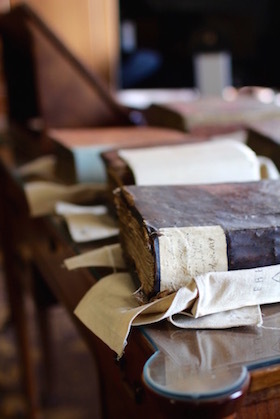 Preservation begins with capturing beautiful images, but it doesn’t end there. With our new backup protocols, we will be processing over 60,000 images during the next few months. Each image will be converted and stored in three different formats, on two different media, and in three different locations. Though we aren’t in the field digitizing, the work continues as we safely archive our data for generations to come. 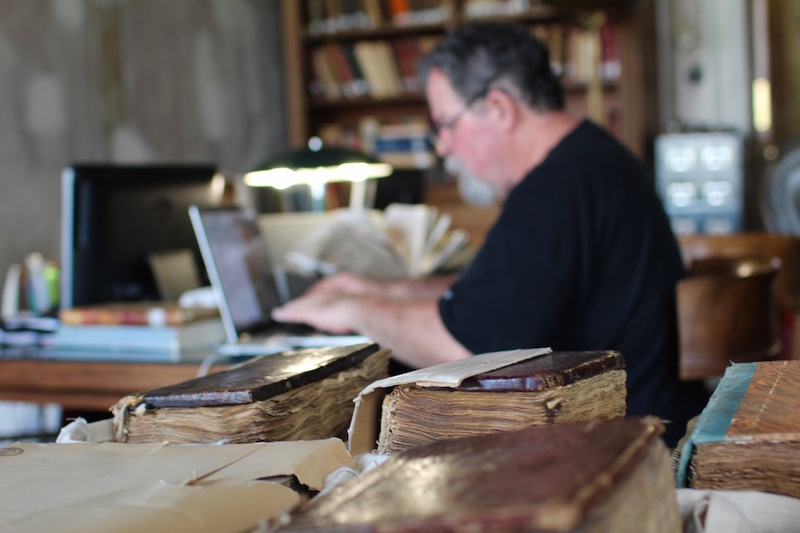 After months of hard work and planning, the Center for the Study of New Testament Manuscripts (CSNTM) recently completed phase 1 of the National Library of Greece (NLG) expedition. The NLG is one of the top five locations for New Testament manuscripts in the world. 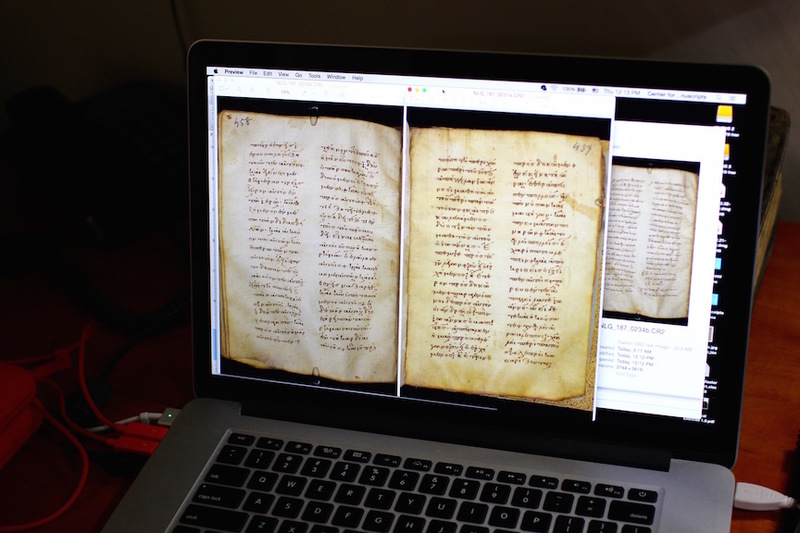 During this trip, the Center was able to digitize 135 Greek New Testament manuscripts. Almost 30 people were sent over to Athens, rotating out over the course of three months. Throughout the time there, the Greek financial crisis hit hard. Banks closed, individuals could only withdraw 60 Euros a day from ATMs, and tensions soared. However, the teams continued their work. In fact, during some of the hottest months of the year, they continued to work without any air conditioning. In spite of all of this, each member of the team knew that they were a part of something much bigger than themselves, and as a result, they had to press on. Pressing on is exactly what happened. In spite of all of the obstacles, CSNTM digitized over 62,000 images. These images are in the process of post-production where they will all be evaluated, added to CSNTM’s archives and website, and made available to you! This undertaking is intense, and CSNTM ensures that each image remains backed up and preserved for future generations. In fact, some of the manuscripts that have been digitized are new discoveries, and some others include significant finds! The Center will be making announcements when these new manuscripts are made available online. CSNTM wants to thank the Director of the library, Dr. Tsimboglou, and his staff for their partnership in this important collaboration to preserve a fraction of the National Library’s treasures. We also want to thank everyone who partnered with CSNTM to make this amazing opportunity a reality. Without you, it could have never happened, and because of you, irreplaceable New Testament manuscripts have now been digitally preserved for years to come! We look forward to completing this project and thank you for your continued support to complete this massive project. 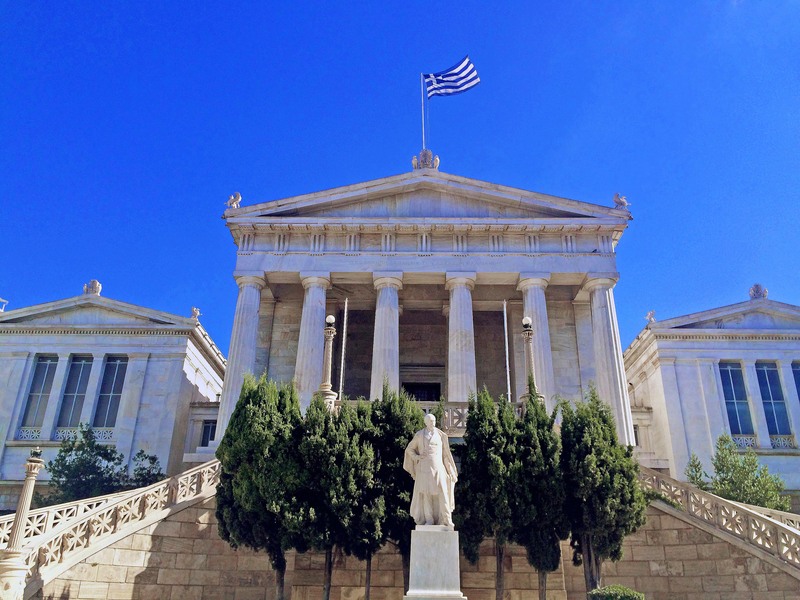 CSNTM's Executive Director has posted an exciting new blog providing an update of the expedition to the National Library of Greece and a newly discovered manuscript. Also, CSNTM has been featured in some leading Greek newspapers for our work at the National Library. Click here to read all about Dr. Wallace's update! The National Library of Greece (NLG) holds one of the five largest repositories of Greek New Testament manuscripts in the world. Ancient Greece dates back thousands of years, and most consider it the birthplace of Western culture. In fact, the rise of Greek culture resulted in its language becoming the lingua franca of the first century, and it was this language in which the books of the New Testament were originally written. 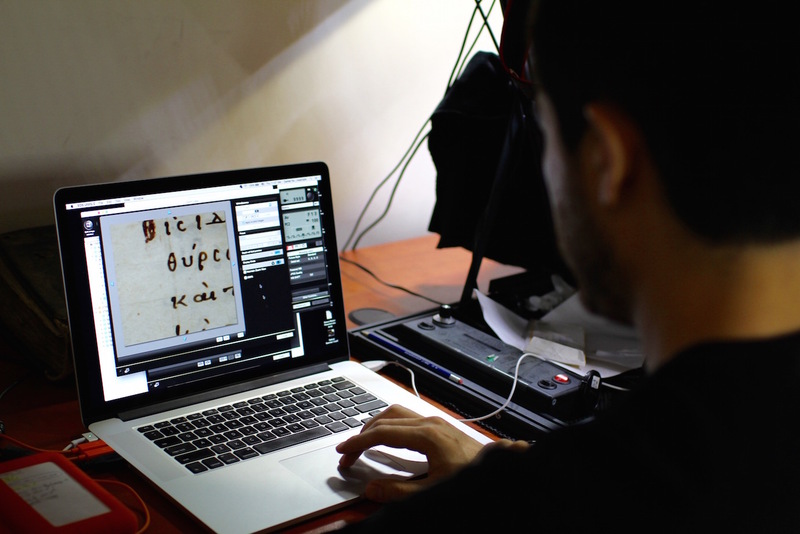 As a result, the most important witnesses to the text of the New Testament are ancient Greek manuscripts and it is the mission of CSNTM to digitize them. Though Greek culture is very ancient, modern Greece is a relatively young nation. In fact, it wasn’t until the early nineteenth century that Greece gained its independence from the Ottoman Empire. In 1829 the first governor of the independent Greek State, Ioannis Kapodistrias, established a library, museum, and orphanage in the first capital of Greece, Aegina. The library was established as an independent institution in 1832. That same year it was moved to the new capital Nafplio and moved again in 1834 to Athens, which became the new (and current) capital. In Athens, the library was first housed at the Roman Forum. Later it was moved to the church of St. Eleftherios. In 1842, the then Public Library was joined with the University Library, and the two were fully merged into the NLG in 1866. Both were housed at Othonos University. On March 16, 1888, the cornerstone for a new marble neoclassical building was laid. In 1903, Greece relocated the NLG into the new location. The new structure was a part of three neoclassical buildings. The other two were the National University of Athens and the Academy of Athens. The three were named the “Athenian Trilogy.” Today, a new building is currently under construction as part of the Stavros Niarchos Foundation Cultural Center, which will house the National Library and the National Opera. The NLG considers itself the guardian of the written intellectual legacy of the Greeks. It seeks to preserve this legacy and to make it available to the public. When the NLG was first made an independent institution in 1832 it had 1,018 volumes. In 1842 with the merger of the University Library, the collection increased to 50,000 volumes. Today the National Library holds one of the largest collections of Greek manuscripts—4,500 total. Of those, approximately 300 manuscripts are of the Greek New Testament, one of the largest collections of Greek New Testament manuscripts in the world. On January 12, 2015, the Center for the Study of New Testament Manuscripts (CSNTM) announced that it has entered into an agreement with the NLG to digitize all of these 300+ manuscripts of the Greek New Testament and make them freely available on CSNTM’s website. This is an amazing opportunity and a huge undertaking. There are approximately 5,800 Greek New Testament manuscripts that are currently known, and the NLG has 300 of them! This collection represents a significant witness to the text of the New Testament, and its digitization by CSNTM will not only ensure that these witnesses are available for generations to come but are freely available to anyone who would like to see them. If you would like to support this expedition, please click here. In the summer of 2013, the Center for the Study of New Testament Manuscripts (CSNTM) digitized the Greek biblical papyri housed at the Chester Beatty Library (CBL) in Dublin, Ireland. The Chester Beatty collection includes some of the earliest and most important Greek biblical manuscripts in the world. In addition to these biblical manuscripts, CSNTM also digitized several extra-biblical Greek papyri that are part of the CBL collection. Jannes and Jambres is an apocryphal work. Its text is fragmentary and dated from the 3rd-4th century. Enoch is an extra-biblical work. Melito is an early Christian homily. The text is from the 4th century. These texts are uniquely significant, as they contain an early witness to rare works for which only a handful of copies have survived, and in the case of Jannes and Jambres, this is the only Greek manuscript known to exist. Visit the manuscript page to view these new images from Dublin. Also, if you would like to make more resources like this available, please consider donating to CSNTM! I don’t know how many handwritten Greek New Testament manuscripts (MSS) I’ve had the privilege of looking at in the last two or three decades. It’s at least in the hundreds and probably more than a thousand by now. And presently, I am looking at quite a few more at the National Library of Greece in Athens. CSNTM will be shooting all the NT manuscripts here in 2015 and 2016. That’s about 300 manuscripts with almost 150,000 pages of text. It’s a daunting task! And all of these images will be available at CSNTM. They will be free for all, and free for all time. I’ve been pondering an aspect about NT manuscripts that I thought would be good to share with others. It has to do with commentaries. You see, many of our biblical manuscripts have commentaries written by church fathers included within the codex. Scholars are aware of about one dozen such manuscripts in which the NT text is written in majuscules or capital letters. Majuscules are what all of our oldest NT manuscripts are written in. Beginning in the ninth century, scribes began to write in minuscule, or cursive, letters. Minuscule manuscripts could be written much more rapidly and in a more compact space than their capital letter counterparts. By the twelfth century, virtually all the Greek NT manuscripts were minuscules. Quite a few of these later MSS included commentaries. Over the years, I’ve examined such commentary MSS to prepare them for digitization. And here’s what I have discovered. These MSS come in a variety of formats. Probably the most common one is for the text to be in larger script and centered on the page, with commentary wrapping around it on three sides (top, bottom, and outside of the leaf). Another format is to have the biblical text in one color of ink with the commentary in a different color. The color of ink for the biblical text is almost always a more expensive ink; one or two MSS even use gold ink for the scriptures. A third format is to have the NT written in capital letters and the commentary in minuscule. And finally, some MSS have an introductory symbol to the biblical text such as an asterisk or simple cross to set it off from the commentary. On January 7, the Center for the Study of New Testament Manuscripts’ Executive Director, Dr. Daniel B. Wallace, and Research Manager, Robert D. Marcello traveled to Athens to meet with the Director of the National Library, Filippos Tsimboglou. After meeting with the Director last September to begin discussions of a collaboration, they worked out final negotiations and signed a contract for CSNTM to digitize all the New Testament manuscripts of the National Library. 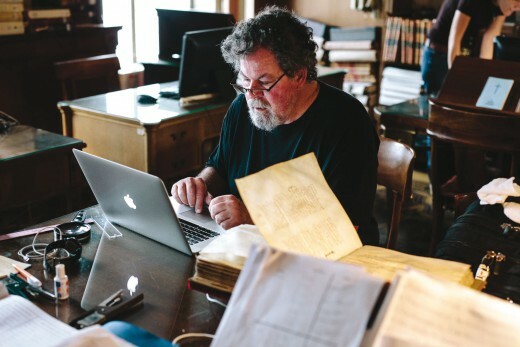 This is a historic collaboration between one of the five largest repositories of Greek New Testament manuscripts and the world’s leading institute in digitizing Greek New Testament manuscripts. Approximately 300 manuscripts with 150,000 pages of text will be digitized over the next two years. CSNTM is excited to be working with Dr. Tsimboglou and his staff on this strategic undertaking.